The ES is currently up more than 20 points!! 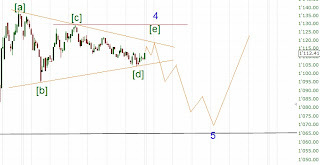 If the SPX rallies over the possible wave [c] high this triangle becomes invalid. A test of 1150 seems likely then. There are many longer term counts possible at the moment. Some say the bear market has resumed and are expecting a big crash coming week and others believe that the rally will continue from these levels. 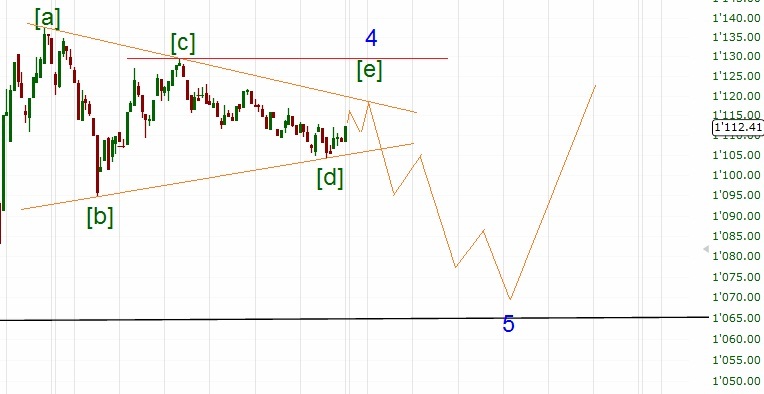 I won't commit myself to either the bullish or bearish scenario. It's just too early to certainly know whether the bear is back again or not. When I'm looking at the charts I can see many such sell-offs in previous bull markets. Hope the next few days will clarify the situation a bit.